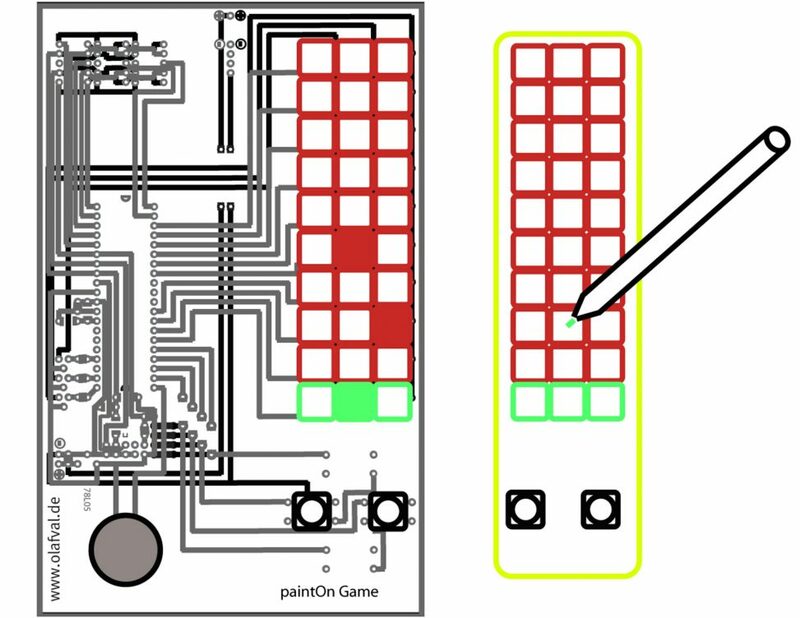 The idea how to play PaintOn Games is based on the first computer game in pocket size version; the „AutoRace“ of the company Mattel. This game shows, quite simply, that very little is needed to playfully entertain humans. Only a tiny keyboard, light diodes, two or three sound, connected to a programmed structure is needed. In 1976, after a demonstration of the new LED technology, Michael Katz, marketing director of Mattel Toys, hit upon the idea to use it to create a calculator-size game. AutoRace was born. Players hat to steer a „car“, represented by a LED, avoiding collision with on-coming „traffic“. Like with Pong, the recipe of success was inspired simplicity. You only need ten seconds to learn the game, but hours to master it. (Electronicle Plastic, Editors: Die Gestalten, 2000, Page 8). documentation material of those actions.